According to media reports, Abhiram lost his phone recently at a restaurant. Following the incident, he received an anonymous mail demanding 1.5 Crores. 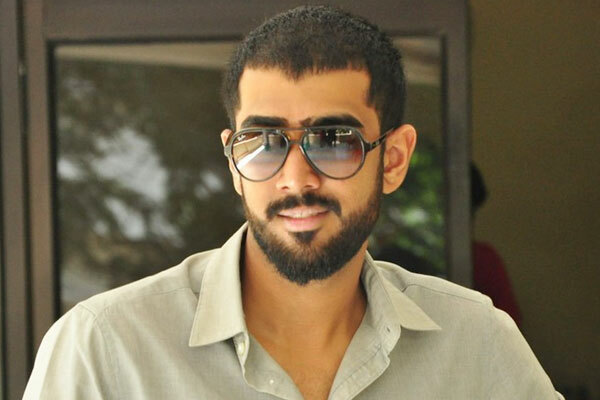 Abhiram Daggubati, the younger son of Tollywood producer Suresh Babu and brother of actor Rana Daggubati, has hit the headlines again. According to media reports, Abhiram lost his phone recently at a restaurant. Following the incident, he received an anonymous mail demanding 1.5 Crores. Reportedly, four people from Hyderabad planned to steal Abhiram’s photo in order to blackmail him. Soon after they got his phone, the stealers threatened Abhiram to pay the hefty amount or else they would leak his private details from the phone. Reports suggest that Suresh Babu immediately filed the complaint and the youths were arrested in no time. Four people hail from West Godavari district who are living in Hyderabad. All the four have been nabbed and taken to the police custody. Meanwhile, Sri Reddy, who protested against casting couch, had accused that she was sexually used by Suresh Babu’s son Abhiram. “Suresh Babu’s son cheated me so badly. The studio belongs to the government and it is meant to help and support talented people. They have to use it in a proper way. This Suresh Babu’s son took me to the studio and f****d me so badly in the studio only,” she said in an interview with News 18. Also, a few intimate pictures of Abhiram and Sri Reddy went viral on social media.